The DU area is getting a lot of attention lately with the upcoming Presidential Debates. If you didn’t know, the University of Denver will host the first debate of the 2012 election season, when President Barack Obama and Governor Mitt Romney will battle for control of the nation on October 3, 2012. One of the benefits of being a presidential debate-hosting university is that the city comes through and re-surfaces your roads! 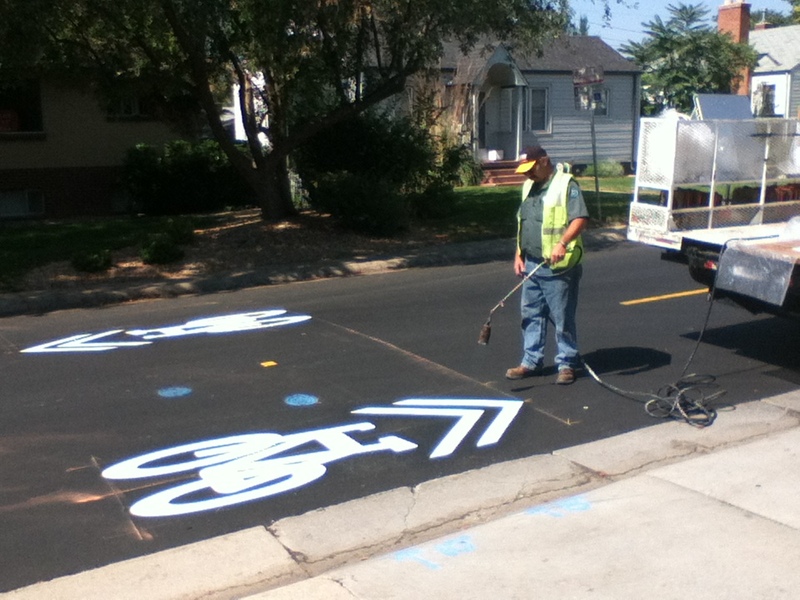 The only problem is that our highly-cherished sharrows were removed with the old pavement.